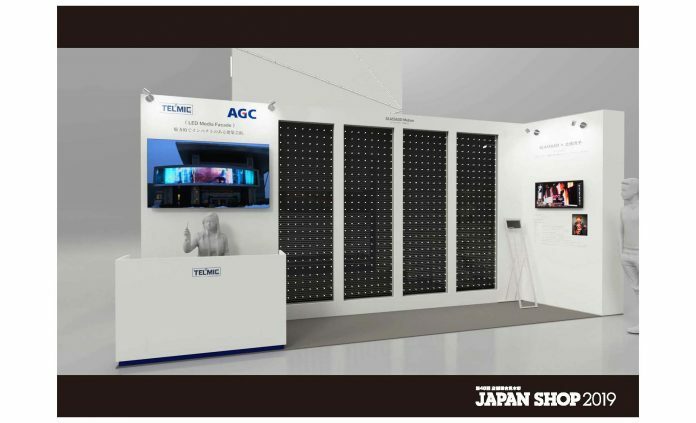 AGC will participate in Japan Shop 2019 one of the largest international exhibition for Shop Systems and Fixturing showcases in Japan. AGC will be at Japan Shop 2019, Tokyo Big Sight Japan, 5-8 March. The International Exhibition for Shop Systems and Fixturing showcases the latest products and services relating to commercial-space design and display, a wide array of store systems, devices, and other tools to help store owners run their businesses more efficiently. 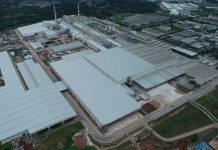 AGC will participate with Telmic, presenting AGC’s new facade sinage system Glassiled integrated with Telmic’s leading-edge vision technology. Telmic handles lighting equipment that is suitable for a variety of uses such as store lighting, presentation lighting, and facades. It offers a broad array of products from orthodox things like LED fluorescent light and light-up lighting to more unique lighting such as neon tube style tape lights and high-brightness lights, and not only products but also lighting operation technology. Glassiled is LED-embedded glass. Light is not just a vital part of our everyday lives, but a major source of inspiration when planning workspaces, homes and commercial buildings. It drives architects and designers to seek out innovative modes of expression. With LEDs embedded inside, Glassiled opens a whole new creative dimension. The LEDs (Light-emitting diodes) either monochrome or RGB (red, green, blue) are powered via a super-efficient, transparent conductive layer. Vision is not obstructed, and the glass retains its primary function: transparency, at the flick of a switch, it can be illuminated and transformed. Ideal for exterior applications such as facades (hotels, apartment buildings, private companies, showrooms, shopping malls, leisure centres, sports stadium etc.) and interior applications such as partitions and balustrades.